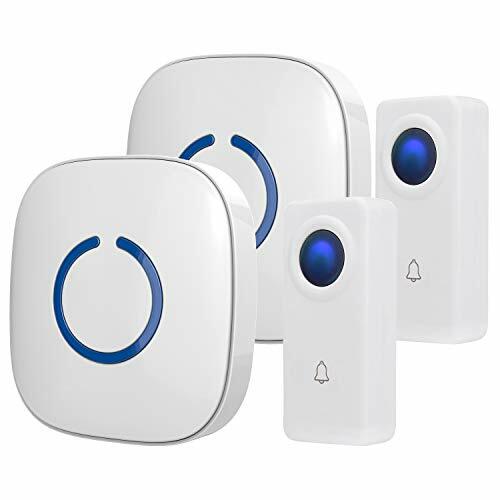 The SadoTech "CROSSPOINT" Expandable Wireless Multi-Unit Long Range Doorbell Alert System Learning Code "E" Series is a CONFIGURABLE and EXPANDABLE doorbell system that can EASILY ADD on 20+ more extra receivers, transmitter buttons, motion sensors and door sensors. Designed & sold exclusively by SadoTech. CONFIGURABLE and EXPANDABLE doorbell system. Add on or build your own system EASILY ADD on any number of additional receivers, transmitters, motion sensors or door sensors Long range operation with the receiver at over 500 feet Look for "Crosspoint" for other compatible components CE, FCC, RoHS certified.